Chiropractic adjustments and soft tissue release techniques that correct misalignments to heal back, neck, and other pain without the need for surgery or prescription drugs. Active treatment solutions to treat underlying causes of decreased flexibility, limited joint range, reduced strength and similar symptoms faced by post-surgery and injured patients. The combination of treatments available at Heritage Health can begin to provide symptom relief almost immediately. Chiropractic is very effective for pinched nerves and misaligned vertebra that can occur with any accident. Physical Therapy and Massage Therapy can address the muscle spasms and range of motion restrictions that commonly occur following a car accident. 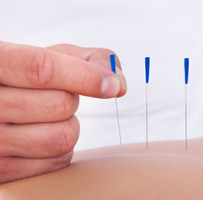 Functional Dry Needling® (FDN) involves inserting a tiny monofilament needle in a muscle or muscles in order to release shortened bands of muscles and decrease trigger point activity. 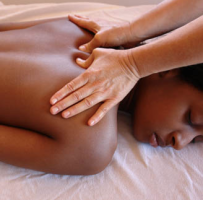 This can help resolve pain and muscle tension, and will promote healing. This is not traditional Chinese Acupuncture, but is instead a medical treatment that relies on a medical diagnosis to be effective. Expert manual massage techniques that work deep into muscle to stretch and relax tissue while eliminating pain trigger points that can be the root cause of many types of pain. 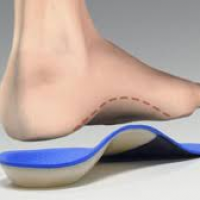 An Orthotic is a custom made insert which is placed inside footwear, to provide the foot with support. It works dynamically during weight-bearing activities. Orthotics are meant to provide full, custom and corrected arch contact to allow the foot to work in a bio-mechanically correct way. If caught early enough, Orthotics can prevent pain and other deformities that are common with foot and ankle problems.